The Cold War doesn’t get much colder than at 60,000-feet.... 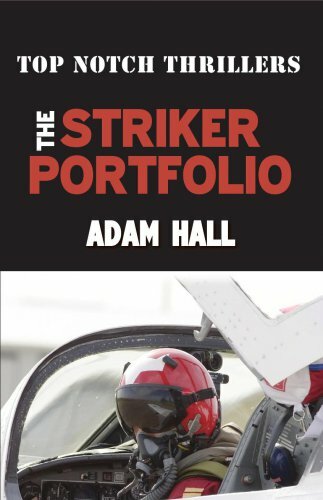 The British-built Striker SK-6 swing-wing jet fighter is at the heart of NATO’s front-line defence strategy on the western side of the Iron Curtain; so why have thirty-six crashed inexplicably and with no survivors? The pilots have already nicknamed the aircraft ‘The Widowmaker’ but are the mysterious crashes down to design faults or sabotage? The super-tough, ultra-cool agent Quiller is sent into West Germany – alone and unarmed as usual – to find out and almost loses his life and his sanity in the process. On first publication, the third ‘Quiller’ novel was praised by reviewers as an “urbane, fast-moving, hyper-knowledgeable action story” and for its “sound, sensitive writing” and one of the best car chases ever described in spy fiction.